Art and Karen take a trip to Greeley to celebrate 10 years of geocaching. We met many cachers and what had to be the biggest, heaviest travel bug we have ever seen. Pocket query limits increased – they may not be automatically e-mail to you. Were event cache guidelines ignored? The ‘Project APE’ cache is the last remaining one in North America. These caches were used in promotion of the 2001 remake of ‘Planet of the Apes’ The caches also originally contained props from the film. Almost immediately, more then a few ‘danger, danger, Will Robinson’s’ went off in my head. I headed for the guidelines for placement of event caches and found the following. 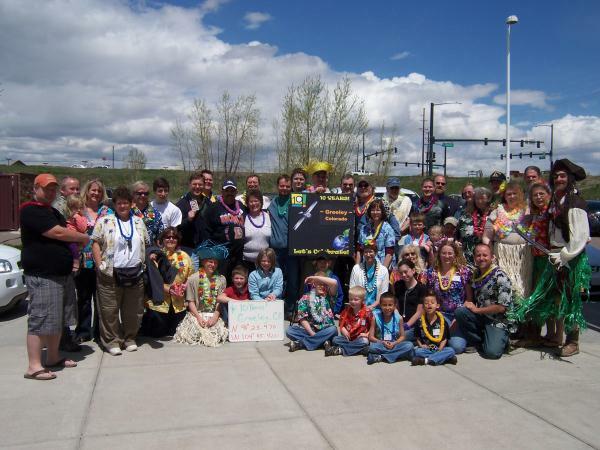 Event caches are gatherings that are open to all geocachers and which are organized by geocachers. While a music concert, a garage sale, an organized sporting event, a ham radio field day or a town’s fireworks display might be of interest to a large percentage of geocachers, such events are not suitable for submission as event caches because the organizers and the primary attendees are not geocachers. In addition, an event cache should not be set up for the sole purpose of drawing together cachers for an organized hunt of another cache or caches. Such group hunts are best organized using the forums or an email distribution list. So the next question, is why and how this is approved, when the guidelines clearly state this cache should not have been approved from the start? I understand the ‘special nature’ of this event, as they are trying to mitigate environmental concerns and it is around a mega event. But in my mind, this event clearly breaks those guidelines. What are your thoughts. Are the guidelines not enforced consistently?